Good evening guys! 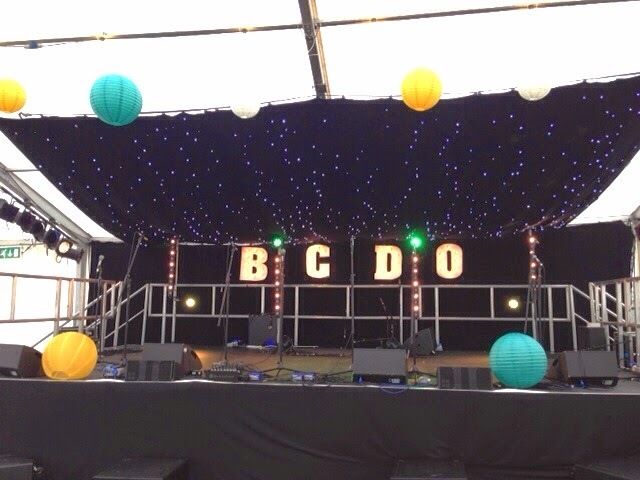 It's a bit of a late post tonight- we just got back from our first day at Big Church Day out and I wanted to share some of the photos of today with you all. 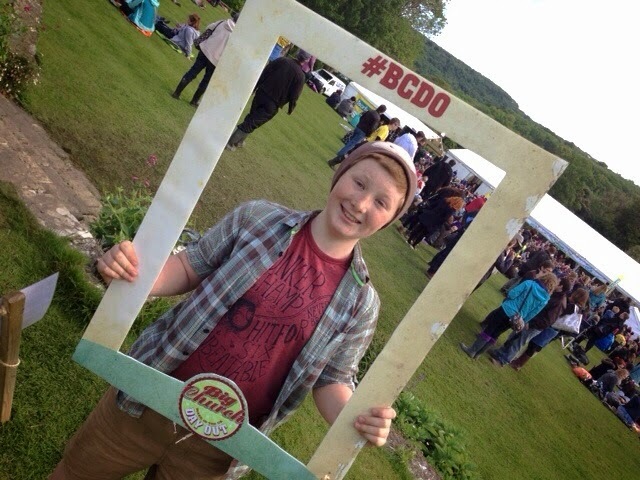 Just to give you some background scoop, BCDO is a huge Christian music festival that takes place every year in the beautiful grounds of Wiston House near Brighton. 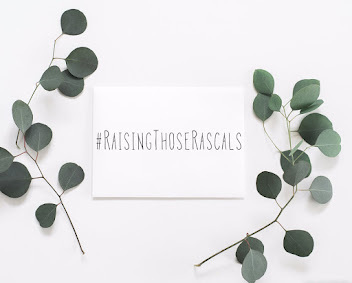 Some of the world's leading Christian worship bands, along with up and coming talent, gather here to praise and enjoy the festival atmosphere that takes over acres of fields for one weekend each year. It was actually our first time here as last year we couldn't make it as I was nine months pregnant and it would have just been too long a journey from Lincoln. 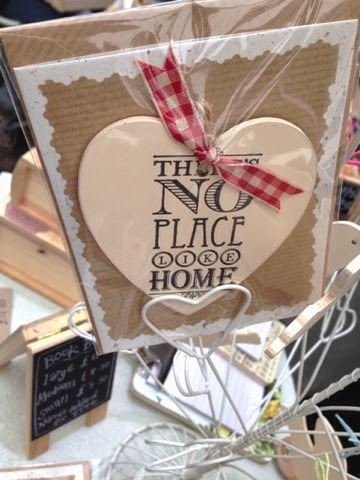 We had a lovely day walking around all the pop up shops and displays which featured handmade home accessories, printed t-shirts and a healthy dose of classic festival merchandise! Noah behaved like a dream today! He took such interest in seeing all that was on offer from the flashy stage lights to the thumping base that shook your insides! The festival took great care to ensure there was plenty for kids to do and even dedicated a 'kids zone' where there was a 'petting zoo' with various farm animals to see and fair ground rides for the little ones. It was lovely to see Noah interacting with strangers, laughing, pointing and grinning his toothy smile at anyone who would indulge his cheekiness! The rain did come down on us but it didn't break our spirits...I just pulled on my 'granny mac' (Sorry, no photos of that stylish look!) 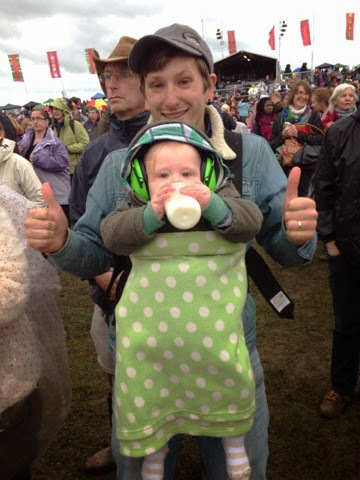 and we bundled Noah under his waterproof pram cover and made the best of the typical English Summer weather! 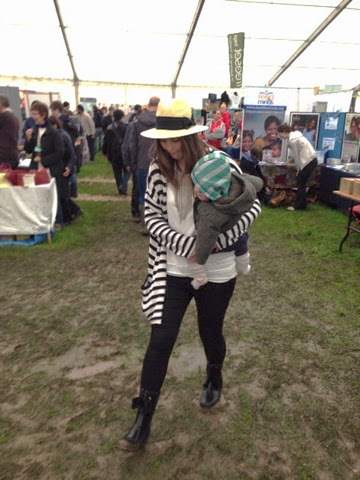 Noah and I tiptoeing through one very muddy tent! I tried to keep my outfit simple and practical today. Knowing the weather was going to be changeable, I wanted to be able to pull layers on easily if needed. 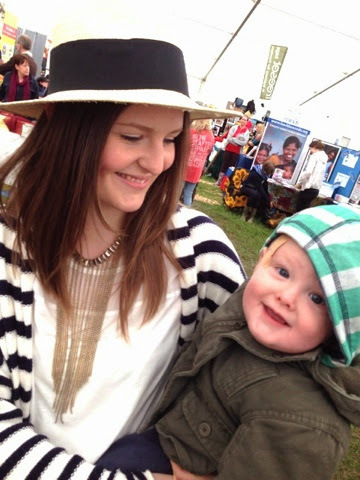 I thought a little nod to 'traditional festival fashion' would be fun, hence the hat- My new favourite accessory! Also, i'm so relieved that I wore wellies today! Life saver I kid you not! 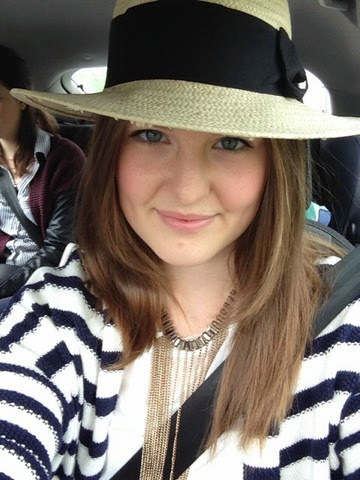 Haha, these are from Joules about a year ago, I think they're still sold online if you're interested. I love the pretty bows on the front...anything that makes the world's most boring footwear look a bit more feminine is a total win! Look at this squashed little face! 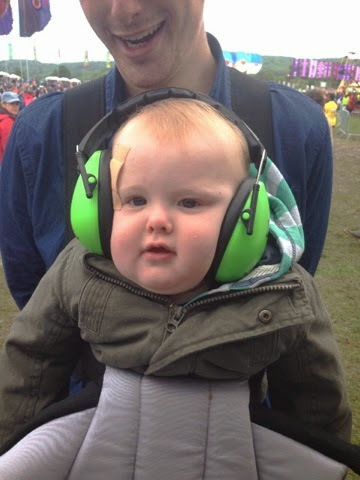 We purchased some baby ear defenders on site as the music really was very loud for Noah. He looks like such a munchkin with these on! 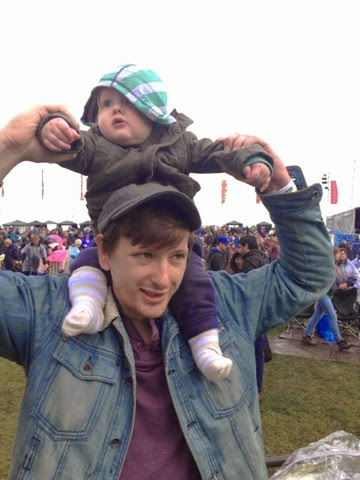 Daddy and son rocking out to Rend Collective! Eddy's youngest brother Gabriel really enjoyed his day. He is always so chirpy and full of energy. 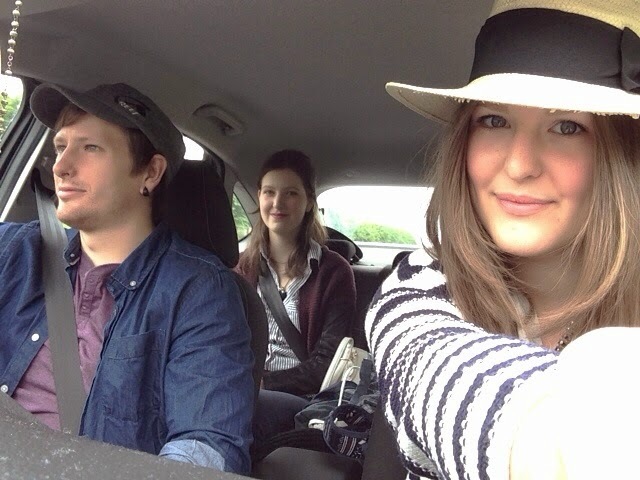 It was so good to spend quality time with him as well as his youngest sister, Ella. Well what a day it has been! I better get to sleep because we have another day of festival action tomorrow!